This venue, opening on April 5, 2013 with a Kenny Chesney concert, was originally going to be named the Tower Amphitheater, but it was renamed in March 2013 to Austin360 Amphitheater. It was the winner of Pollstar's "Best New Music Venue" global award. The venue is set in the middle of Circuit of the Americas sports and entertainment complex. 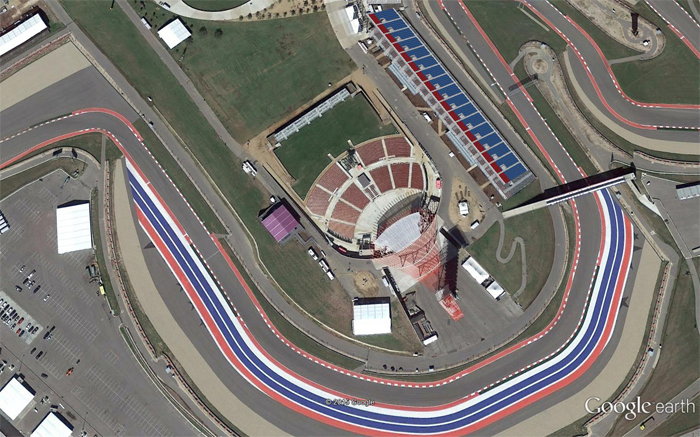 This complex is also the host of a Formula 1 United States Grand Prix event and is the first facility built specifically for the Grand Prix in the United States. When DMB graduated from clubs to larger amphitheatres, they played at South Park Meadows in Austin. Their first show there was as a part of the H.O.R.D.E. Festival, before coming back on their 1998 and 1999 Summer Tours. That land is now a hotel and movie theatre and up until 2013, DMB had only returned to Austin for the Austin City Limits Festival and a TV taping, both in 2009. Their return to Austin for a major tour show was scheduled for May 21, 2013. But Central Texas was hit by a major storm that day and after a devastating tornado hit Moore, Oklahoma and killed 24 people the day before, no one took any chances. Fortunately the show was scheduled for a Tuesday night without another until Saturday, so Austin was postponed to the subsequent night. The show featured a handful of surprises including the first So Right opener since Spring Tour 2002, the first Cry Freedom in two and half years, the latter with Stanley Jordan, who also guested on Rhyme & Reason while Andre Hayward guested for the first time, playing trombone on Jimi Thing. The version of Rooftop from this show can be found on the 2014 Warehouse Fan Club membership disc.